... And so it was that the adventurers of the “AAA Group” stood at the base of the Long Stairs crawling knife edged along the treacherous cliffs of Mount Zatock to ancient (and largely unexplored) fortress of Hobbington. “No, I don’t think that would be such a great idea,” said Hermel as he gazed up the long stairs. “I thought so, too,” put in Arik, “but, what the heck… I’m glad to help where I can,” he added looking at Hermel with a broad toothy grin. Hermel gave them both a scowl and didn’t reply. He was in fact at that moment working out just how to get into the town without being noticed by the deadly Five Animals Society. It seemed they had something against him, and he thought it best to avoid contact with them if at all possible. He took out his broad brimmed straw hat that Hagen, the owner of the Rat’s Den had sent to him as part of a disguise he used to escape the town originally. He then donned the shirt and pants, and in all, he not only looked quite presentable, but he felt it was reasonable to assume that if he kept his head down the Five Animals would not recognize him. And so, that arranged, they all headed up the long flight of stairs. “Are you excited to be going home?” asked Bantum of his chickens cheerfully. They all clucked the affirmative. Now these stairs wound their way up the side of Zatock Mountain, which itself is a rather tall and narrow mountain with a level top. Rumor had it that there was a deep lake with an island in it on the top of Zatock, but none of the AAA’s had ever been up there, so they didn’t know for sure. Another rumor, one that Star happen to know, was that there was actually an old fortress of some sort on the shore of the lake, but as he’d never been to the top either, it was officially, in his mind, just another rumor among many regarding the various myriad mysteries of that old mountain town. The stairs wind up along the edges of steep ridges with perilous drop offs. There were numerous gateways along the stairs that form guard stations from the days of old, though in these times very few of them were occupied. At some places the stairs doubled back on themselves and went under narrow archways. The entire flight of stairs wound their way up a wedge of the mountain between two long narrow waterfalls, which vanished into deep ravines at the base of the mountain. Star, possibly for the first time, noticed what an amazingly well fortified position Hobbington was actually in. It would take a truly incredible military effort to overcome it. Even as high up on the mountain as it was, Hobbington was still defended by a massive wall along the cliff face, also topped by multiple towers for additional defense. Indeed, he thought, that sinister fellow Ibis would very likely have known all about it, and could have probably explained quite a few details of the fortification that Star would not himself have guessed. When they came to the sixth of the many landings along the way, they encountered a small band of poor children begging for spare change. They looked very hungry and thin. Bantum gave them two iron pieces from his leather pouch, which left it much lighter than it had been. Hermel also gave them two coins as well, and ushered everyone past so they could continue the climb. “Is that you Hermel?” asked one of the children. Hermel was dismayed. It sounded a lot like little Jeremy, the kid who had lead them on the Hagglesmith rescue. In fact, he noticed that the other children happen to actually be the Hagglesmiths. He turned his head beneath his hat and continued to try to usher everyone up the stairs, not wanting to engage in another distraction from his purpose. Nor, in fact, did he wish anyone to recognize him. In order to distract them, and provide enough money to feed the children for a week, he dropped a handful of thirteen more iron coins on into the snow as though it was an accident. “Hi children, how old are you?” asked Praymar, stopping to look at the children. Hermel stopped. He motioned for Praymar to keep moving. Instead the odd squeaky little albino tried engaging the children in conversation as they scrambled weakly for the coins. “Sir, you dropped some money,” said Janet Hagglesmith, holding up one of the coins toward Hermel. She was too weak to grab any of the other coins, but she was not the kind of girl to take advantage of someone else’s accidental misfortune. “But…” the girl tried to continue. “You’re probably delirious from hunger,” said Hermel trying his best to escape the complications he saw heading his way. Yet realizing how weak the Hagglesmiths actually were, Hermel had a change of heart after all. He asked Bantum if he could help carry the children up the Long Stairs. Bantum, a giant of a lad, had no problem picking up the children and hoisting one on each shoulder, and one in each arm, while Jeremy took a spot around Bantum’s neck. The chickens were a bit ruffled by the extra passengers, but Dr. Chickenhiemer, a softy at heart, calmed them down from atop Bantum’s head where he had taken to perching himself. Jeremy was certainly surprised to find a rooster, Dr. Chickenhiemer, as his travel companion. Dr. Chickenhiemer clucked a greeting, and pontificated about something related to the quantum flux perimeter centered on a particular artifact, but as Jeremy was not much more than an imbecile, and Dr. Chickenhiemer spoke only chickenese, it was lost on the lad entirely. “But I saw them fall out of your pocket”, Janet said. The other Hagglesmiths were staring at her incredulously, and stuffing their hands deeper into their pockets where their coins had been secreted. “Don’t pay any mind to her, Sir, she’s a bit daft, really... Don’t worry Janet, we’ll hold the coins for you,” said Brox, and took the coin she had been holding up and put it in his pocket. And so up the Long Stairs they went. After they had climbed to the next landing Hermel stopped. “I do,” replied Bantum amiably as he reached for his pouch. But it turned out his pouch was missing. “Ok, that’s what I thought,” said Hermel as he turned his eyes on every member of the Hagglesmiths. They landed finally on Jeremy, who squirmed slightly under his gaze. “I didn’t mention it, but there is a fee for carrying you up to the town,” said Hermel to Jeremy. “A what?” said Jeremy, shocked by this idea. “The Elkron frown upon theft, you know,” put in Star, gaining for his trouble only the rolling eyes of the Hagglesmiths. After a moment’s reflection, however, Jeremy relented and said “Aw shoot, I was just kidding around. Here’s your pouch ya big lug,” he said jovially as he could, handing Bantum his little leather pouch. There was a good deal of quiet mirth among the members of the AAA Group at that, and so they continued up the Long Stairs. Hermel checked his pockets, but everything was there. He muttered to himself as he suddenly imagined that by the time they got the top of the stairs Bantum would be walking stark naked with five little munchkins on his mighty shoulders, trussed up in firs with feathered caps and gold chains. It made him smirk grimly, but still he resisted the temptation to take a look, trying as he was to maintain at least a tiny bit of faith in humanity. At the 7th landing they noticed a crowd had gathered along the edge of the wall at the rampart of the town high above them. There were four men who were suddenly flung over the side of the wall and hung by their necks, wriggling horribly, until they were dead. The people of the town jeered and threw rotten vegetables and small rocks at them. This all took place too far away for the members of the party to discern any details of who the men were, and besides there heads were covered with black hoods. It was not uncommon in Hobbington for criminals to be treated thus, if their crimes were sufficiently dreadful. Such hangings occurred periodically, and usually to the joy of the lowborn crowds, who liked nothing better than a good hanging. They watched for a few minutes, and then continued solemnly up the winding stone stairway, which ascended the ridges, doubled back on sharp bends, twisting this way and that as it snaked up to the town. The snow was thicker as they rose above the valley, and so the going got slower. At the 12th landing they came to a narrow two storied tower that the stairs went beneath through an archway. There were four guards there who demanded the city toll, which was one iron piece each. They'd finally made it to the top. And there was the Hobbington Gate in all it's stony glory. They paid the toll and got ready to continue under the Great Archway. The guard, who had not noticed the odd little albino before, looked down at him for the first time. Praymar flicked his little red forked tongue. The guard bulged, and then averted his eyes and pretended he hadn’t noticed the boy at all. Praymar called up to him, “I’m over here!” but it was no good. The guard seemed to never have noticed him, and it seemed likely he never would. It was just as well. Everyone was tired and hungry and no one wanted to get into a fight with the town guards. That usually didn't end well. “Hobbington at last!” clucked all of the chickens on Bantum’s bandoleer. Past the guards and through the gate they entered the main plaza, which, remarkably or not, looked much as it had when the left, except it was shrouded in snow. The many stalls and shops that lined the plaza all looked the same. Except for one. There were a number of customers going into and out of the store, some carrying packages with big smiles on their faces. “Wooden Dog Emporium” read the sign. It was a new shop. In the window were half a dozen finely carved dogs of different sort. The quality of the craftsmanship was as remarkable as it was unmistakable. “I don’t believe it,” said Hermel as he made his way with the others to the shop. There they found a big fat merchant with greasy hair and sweaty palms, eager to shake hands and sell them carved dogs. Praymar stood outside absorbing the wonder of a large city. 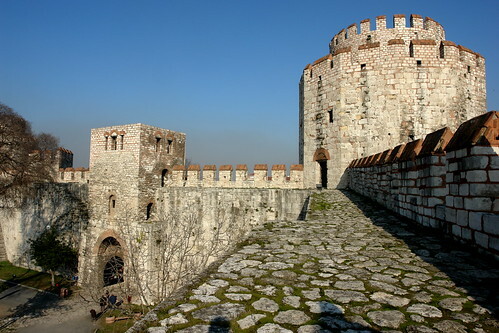 The stone buildings and tall fortifications astonished him. This was his first time ever seeing such a marvel as a real town. Those who did happen to catch him looking wide eyed about averted their eyes and kept walking, as usual. Hermel was looking around at the shelves. There were quite a number of wooden dog statues. He imagined poor Wuldcarva sitting in a basement somewhere chained to a bench working away, hardly fed or bathed. “Why you know, sir, this looks quite a bit like Wuldcarva’s work,” Hermel was saying to the merchant amiably enough. “Wuldcarva? Wuldcarva? Ha ha … I don’t remember hearing about any Wuldcaravas!” said the merchant, who hastily made his way to another customer on the other side of the shop. Hermel noticed the merchant glanced over his shoulder at him several times with a nervous twitch in his eye. In any case, they had business to get to in Hobbington and so the AAA Group divvied up responsibilities and headed forth into the town. They agreed that they would meet back at the Dog Emporium in four hours. Arik would take Praymar to the Adventure’s Guild and have him enrolled there, if they would take him, while Bantum and Star would take the Hagglemsiths and Jeremy to the Pagoda of Twelve Harmonies, where he hoped the monks of Eldrik would look after them. Hermel went off to find Lady Gray’s Tea Shop hoping to find the kind of drug he needed for his plan to rescue his sister and the others at Yellow Clay Village. On the way to the Guild, Praymar smelled savory Rat Sticks. “I’d like a Rat Stick please,” said Praymar buoyantly to the vendor. The old grizzly looking Rat Stick vendor saw Praymar out of the corner of his eye and quickly pretended to be absorbed in contemplating the awning of his little stall. “I’m over here,” squeaked Praymar effusively. “I’d like a Rat Stick, sir,” he added while rapping the counter with his beefy knuckles. “What? Oh, oh, alright,” said the vendor, handing Praymar a Rat Stick with one jaundiced eye. “That’ll be five iron, then,” he said, trying not to look directly at the little albino boy. Praymar paid the man, and took a big sloppy bite out of the succulent Rat Stick. “Nothing tastes so good as a rat on a stick when you’re hungry,” thought Praymar with satisfaction and he slurped and licked the Rat Stick with his shiny red forked tongue. “Yeah yeah, move along… you’re scaring away customers,” said the vendor while Praymar picked a bone from between his teeth. “What are you trying to say?” squeaked Praymar. “Um, well, uh, hey don’t forget we’ve got to get you to the Guild as soon as possible,” Arik interrupted. Praymar turned on Arik and complained that the grizzly old vendor was trying to insult him. They debated over whether or not that was really quite so as the vendor quietly snuck away, wheeling his cart down the street to a more promising corner. And so with that Praymar and Arik continued on to the Guild Hall, winding their way down narrow alleyways, up flights of worn down stairs, over and under old stone bridges, and along the frosty streets until they came at last to the Guild Hall somewhere in the middle of the Old Quarter. It was a red brick building with white shutters and an enormous oak door at the top of a small flight of stone steps. Icicles dangled from the roof, sparkling in the intermittent sunlight. Arik knocked at the door three times, and it opened. There stood the Seneschal. “Arik, you’ve returned,” he said. “Hello,” squeaked Praymar holding out his bone white hand. “Well hello Praymar. Welcome,” he said as he shook Praymar’s hand. Surprised that he had actually been acknowledged instead of ignored or insulted (perhaps for the first time in his little life) Praymar thoughtlessly Drained the man using his Mystic Power. “That’s not good manners!” said Arik and slapped Praymar on the back of the head. Despite that, he felt quite a bit warmer and stronger after that. The Seneschal, however, staggered backwards, not quite realizing what exactly had happened. All he knew was that touching the young albino made him suddenly feel weak and dizzy. He staggered up stairs to find Guildmaster Rothmon. After a few minutes the old and experienced stalwart Rothmon came down the stairs stroking his white beard and greeted the Adventurers. To Praymar he extended a bark-skin gloved hand and an especially warm greeting. Praymar, a bit embarrassed at his indiscretion with the Seneschal, pretended not to notice, and shook Rothmon’s hand enthusiastically. “Thank you, Sir! It’s good to be here,” he said. And so they enrolled Praymar into the Hobbington Adventurer’s Guild. He scored very high on each of the four tests that Rothmon discretely gave him, and enrolled him into the Ranger school. That’s a broad and difficult Class, requiring much training, but Rothmon felt the oddly colored lad would be up to it. While the Seneschal gingerly gave Praymar a basic orientation in regards to the Guild rules, school, customs and traditions, Rothmon sat with Arik in the Library. He was provided with a detailed report on the adventure thus far. “Ah, well, unfortunately, you will have to tell Hermel the answer is ‘No’. There has been no word,” said Rothmon shaking his head regretfully. As this conversation was going on, Praymar had returned from his tour of the Hall. He sat down at a table and leafed through an open book there. It was a compendium of hieroglyphs and ancient art. “This is amazing,” he said. Arik, remembering that he had something he thought the Guildmaster might be interested in purchasing, dug through his things and produced the pelt he had skinned from the bear he had killed. Several flies flew off of the stiff, rancid, blood-encrusted thing. It was horrid. “I’m pretty sure I can not imagine a use for this particular artifact… fascinating as it may be,” said Rothmon politely with two raised eyebrows, and the matter was dropped. Arik was deeply disappointed as he put the pelt away. Praymar, seeing one of the flies whizzing past his face could not resist flicking out his little red forked tongue, both tiny prongs piercing the fly in each eye. “Thwip!” the fly vanished into Praymar’s mouth. Arik scratched his beard, thinking little of it, though Rothmon sat with his eyes wide and eyebrows raised even higher than before. Stranger things he’d seen in his many years, but perhaps nothing quite so unexpectedly disgusting as that. “We’re interested in any details, even if it may seem trivial to you,” said Rothmon. “Well, I also went on a strange adventure from the mine with Bantum and a Dwarven compatriot of mine whom I met there as well. After an amazing journey through the earth, we came to an ancient Dwarven Pub, and saw a rather entertaining play there. Something about a magical chicken…” he said and then paused, a little light going on in the back of his head. He then dropped the matter abruptly, and declined entirely to say so much as a single word about Dr. Chickenhiemer. After all, Arik never believed in a talking chicken. It’s absurd. Chickens do not talk! Meanwhile, across town, Hermel had made his way to Lady Gray’s Tea Shop. He was looking for an herb. He happened to know of one that might be suitable for his plans. It was a rare extract of the Rhododendron plant called “Misty Cloud Venom”. It not only made one fall asleep, but also was known to cause intensely vivid nightmares. As it happened, Lady Gray, who recognized him from his earlier visit, asked him to sit down while she went to look for the list of odd items and herbs he’d given her. He wanted to obscure the fact that he was looking for the Misty Cloud Venom, though to her experienced eye that one item stood out like a sore thumb on the list. It mattered not, however. Lady Gray was a confidant of many, and so was adept at keeping secrets. She had a very good reputation for it. “How much for one portion of the Rhododentron extract?” he asked. “That will be 10 iron per dose, young man,” she said. Hermel intended to make 100 doses of knockout venom for the archers he intended to hire. That would be a total of 1000 iron. Hermel ran some numbers in his head. He ran them again. He was not very good with numbers. He ran them again. It was kind of painful to watch. “Would you care for a cup of tea and a biscuit?” asked Lady Gray, sympathetically. “Why don’t you take a seat by the fire and relax,” she added. “Well, I have had a hard couple of days,” he replied gratefully. He was considering whether or not he should purchase the Misty Cloud Venom, or if it he should ask about the less expensive, and less effective, alternative he had in mind. It was not as rare, and did cause narcolepsy, but it acted slower, and did not last as long. But 100 doses would only cost 800 iron. He pondered as he sipped his tea and nibbled on his biscuit. On the other side of Hobbington Star was making his way to the Twelve Harmonies Pagoda with Bantum and the Hagglesmith Horde. Arriving at the massive seven level circular tower, he knocked on the enormous wooden door. A smaller door set in the larger one opened. There was a monk of the order of Eldrik in his yellow robe. He bowed with one palm raised. “Eldrik bless you,” he said. The little group was brought into the pagoda. The senior monk came out and listened to Star’s explanation regarding the children and recommended that they be taken to Saint Elaine’s Orphanage. This was on the far side of Hobbington. It was a long way, but eventually they arrived. The Orphanage is a low gray building with small stained glass windows, situated on the hill below the walls of Hobbington Heights. There is a little river that runs by it, and a small drawbridge leads into the front gate. There they found some miserable children, depressed, anemic and thin, and their even more miserable Head Mistress who stood stern and hard against the cold wind at the door, holding a book in one hand, and a thick wooden ruler in the other. There was a conversation. But as it turned out, only Jeremy was an orphan, so she would not accept the other children. “Your mission is not to help children?” asked Star incredulously. The Head Mistress offered to take in young Jeremy in as he was in fact an orphan, but looking at the gray-faced children with their sad eyes and sallow cheeks, he decided he would rather take his chances with the Hagglesmiths after all. “I thought that was going to be easier,” comment Star and took them back across Hobbington toward the Guild Hall. They nodded agreement. “Well, I’m sure everyone is pretty hungry by now,” continued Star thinking out loud. They nodded agreement as they shuffled down the cobblestone street. Snowdrifts were piled high everywhere. “Hmmm… the Bar and Grill at the Guild Hall was really rather expensive,” Star thought to himself. So when they passed a Rat Stick vendor he treated to each child two Rat Sticks. The Rat Sticks did not last long amid the slathering, lip-smacking, and slobbering. I don’t know if you’ve ever tried a fresh grilled Rat Stick with ‘brown sauce’, but … well… maybe you shouldn’t. However, for the hungry children Hobbington it was as succulent meal as they’d had in days, and it went down well. The Seneschal watched with a puzzled expression as Star ushered Bantum and the ragtag band of children into the foyer. "This is The Adventurers Guild, not an orphanage," the Seneschal was thinking to himself as he went upstairs to tell Rothmon that additional guests had arrived. Star found a spot by the fire where the children could rest and warm themselves. Rothmon came down with two gloves on and nodded his half-welcome and shook hands with the children, gave Bantum a pat on the shoulder, and then led Star into the Library. He was very eager to learn more about what had happened on the adventure from Star’s point of view, having learned all he could from Arik already. He did not realize just how significant the difference between the two interviews would turn out to be. With greetings and introductions aside, Star sat down across from Rothmon at the large oak desk and proceeded to dig through his satchel until he found what he was looking for. It was the leather cloth containing the mysterious artifact he had received from Lanna at the Grey Serpent Cave. He noticed vaguely for the first time by the light of Rothman's desk lamp that it was covered in a barely discernible series of scripts, but he was eager to show Rothmon the item within, and so he pulled the cloth aside to reveal the smooth, though broken, disk-shaped stone with the odd black lightning-wheel design on it. He noticed that it still glowed eerily with that strange yellowish darkness, almost as though it were sucking the light from the room. “And so, as I mentioned, one of the miners from the Prancing Unicorn salt mine had smuggled this out, and given it to his wife, who, after some strange events, gave it to me. Do you know what it might be?” asked Star, looking up finally from the engrossing object. It had begun to form shadows on the table that seemed to turn as black as the night sky. It was very strange. Rothmon did not answer, and Star was surprised to see when he looked up that the old gentleman, usually so solemn, had gotten out of his chair and was backing away from the table slowly with one arm raised before his face and his head craned to the side. Both eyes were bulging. Yes, this alarmed Star quite a bit, you could say. “I, uh… What iiiiis this thing?” asked Star, now feeling the same rising sense of dread he'd felt at other times when the stone was exposed. Rothmon continued to back away until he hit the bookshelf and could go no further. “I am wondering… what should … I do with it?” asked Star, his voice now beginning to tremble as a cold sweat suddenly took hold of his spine. “… Put … it … away …” whispered Rothmon. Star hesitated and stared at Rothmon. He was turning his head away from the object, and his eyes were beginning to turn up into his head. This was not usually a good sign, he thought as he wrapped the stone back up in its leather cloth. Once wrapped the sensation of dread seemed to vanish as if someone had snuffed out a candle. Star heaved a sigh of relief. “I think I will return to the Twelve Harmonies, then, and ask them about it,” said Star as he shouldered his pack and walked to the door, shaken up by Rothmon's incredible reaction. “You know, it’s strange,” he said to himself, “these people are supposed to help me. Why is no one able to … help … me?” and then closed the door behind him, with a final glance. Rothmon was lowering himself to the wooden bench below the window, trembling. “Oh yes,” said Star tapping his forehead. “I wanted to show Rothmon that other stone as well, didn’t I?” and with that he opened the door and went back into the library. He found the elder sitting on the bench, staring out the frost encased window. “I wanted to show you a different stone that another miner gave me. He said that I should deliver it to ‘...Ahaaaaa’, and then he died from his wounds,” he said while pulling out the other stone and holding it up. Rothmon barely seemed to notice. “Do you know what this is?” asked Star. “It seems as though it was important, too, somehow.” Rothmon nodded negatively, and so Star, having decided that the old man really could use some rest, backed out of the room, saying he would return later if he could. “I shall head over to the Twelve Harmonies Pagoda and speak to Eldrik about this then,” he said as he closed the door, bowing. “And He’s not going to be able to help me either, I suppose,” he added angrily to himself. This kind of thinking was very unlike Star. On the way out he ran into Arik who had come up from the Bar and Grill. He was looking mighty pleased with himself, and perhaps a bit drunk. He passed off the children and Bantum to the Dwarve, telling him how the Saint Elaine Orphanage would not take them in, and said that he was heading over the Twelve Harmonies Pagoda to try to find some answers about the strange old stones. Arik wanted to know why, and was puzzled as to why he had mentioned more than one strange old stone, but Star didn’t wish to talk about it any more and turned gruffly to leave. “I’ll be back. Or maybe I won’t. Or maybe the world is going to end, I’m not sure... If you see any demon's kill them with your axe, or something!” he barked as he left the Guild Hall slamming the door behind him. He felt the heaviness of the strange old stone in the leather cloth weighing down his satchel as he trundled away through the snow. The wind moaned amid the wooden slats of the buildings as the sun vanished behind the fast moving clouds. A light snow began to fall. Arik stood in the foyer scratching his head. Bantum and the children went back to looking at the fire. It was very strange behavior indeed, thought Arik. Star had never behaved anything like that before. Star looked down at his feet as he crossed over Dunn’s Bridge on his way out of the Old Quarter. There was a deep fog that had settled on the Bridge, making it difficult to see further than a few yards ahead. He kept his eyes to the ground and so did not notice the window of the northeast Bridge Tower begin to glow with a greenish light as he passed by below. He would probably not have wished to have seen it, actually. In any event he focused on his feet and made his way to the other side, took to the road again, and made his way toward the archway that lead out of the Old Quarter into ‘Town Proper’, as the people called it. He came to the fountain in the center of the main square, turned left, went up the wide steps, through the archway, along a few cobblestone streets and came eventually to the Twelve Harmonies Pagoda. The monk greeted him again, and led him inside. As soon as he entered, Star felt a deep sense of peace and calm. The temple was so quiet, and the gongs on each floor rang out solemnly with their timeless serenity. He shook the snow off, and warmed his feet and hands by the fire. He touched his satchel but it did not feel as though the terrible stone was weighing him down any longer. “I would like to see the Abbot,” said Star. The monk nodded and gestured for one of the monks there to take Star upstairs to where the Abbot was. And so he followed as they climbed the spiral stair that wound around the rim of the pagoda from floor to floor, passing through wooden doors and arches, until finally they arrived at the seventh floor where he was led by another monk into the presence of the Abbot. The Abbot was sitting at a low round wooden table with one hand raised before him in meditation. He opened his eyes and motioned for Star to come into the small circular study. It was piled high with books and scrolls. The Abbot himself was a round pudgy man, bald, but with a long wispy gray beard and long gray eyebrows that fell down past his cheeks. He’d always struck Star as a kind of lazy person, not given to waking early and working hard like his own teacher had been. But he was kindly, and warm hearted so Star liked him just the same. The Abbot motioned for him to go on, and so Star took the leather cloth out and was going to put it on the table. However, the Abbot stopped him with a gesture of his upheld hand. He then took a yellow cloth from somewhere with red letters along the sides and forming a circle and cross at the center. The Abbot stood up and lit four candles, three sticks of incense, began to chant, and walk in a circle around the room seven times waving the incense at each of the four tiny windows. He sat down and put the incense in a small pot of sand, and then with a gesture indicated that Star should put the artifact on the yellow cloth at the center of the table. He did so and opened the cloth to reveal the stone. It glowed with the same strange yellowish shadow, though more fiercely than he’d seen it do before. And to his surprise green tendrils of vapor began to slide off its sides and slither onto the yellow and red cloth. “It’s never done that before!” exclaimed Star, fascinated. “Tell me more about it,” said the Abbot. “There was a salt mine in the province, recently discovered, but contained very ancient lion statues. A miner smuggled this out of the mine,” explained Star. “Do you know where the other missing piece is?” asked the Abbot. “If I had to guess, I would say it is in the mine,” said Star. “It is fortunate it is not at full power. You will need to be ritually purified. We will hold the artifact here until we can locate the missing piece, and try to contain its malevolent power,” said the Abbot gravely. “Does the artifact have a name?” asked Star. “It is called The Black Sun Stone,” said the Abbot in a tone of voice that made Star shudder. “It doesn’t sound good,” said Star. “It isn’t. It is very ancient, and very dangerous,” said the old Abbot. “When I was walking here with it, I felt as though I wouldn’t make it,” said Star, half to himself. “Your great strength and faith has carried you through,” said the Abbot. “Thank Eldrik for that,” replied Star. “Your Quest,” said the Abbot slowly, “is to find the missing piece, and bring it here. Before you embark on the Quest you will need to return to Star Cliff and conduct your purification at the shrine there,” said the Abbot handing Star the leather cloth the stone had been wrapped in. He then folded the yellow cloth with red lettering over the stone so it was concealed from view. The sense of impending horror vanished with it. Star was both elated and frightened by the prospect of having to complete such a quest. The old Abbot brought out a small golden pin and handed it to Star. It was in the shape of a flying swallow. “Thank you, Abbot,” replied Star of Justice with a bow. The Abbot nodded and held up one hand in blessing to him. “There is one other matter I wish to discuss with you before I go, sir. I met a number of children who were starving on the stairs outside Hobbington on our return. I tried to leave them with Saint Elaine’s Orphanage but they were refused entry as they are not in fact orphans. I am unsure how to help them,” said Star sincerely. From the air the Abbot seemed to pull forth a long narrow piece of yellow paper with red writing and laid it on top of the yellow cloth that covered the stone. The paper immediately clung to the cloth as if it had been sucked down onto it by a gust of air, one half of the paper on the stone, and the other half clinging to the wooden table. He did this seven times so that the stone was completely wrapped and held down by the paper bonds. Star had the impression that even if the tower collapsed in an earthquake, the stone would be bound to the table unmoved. “Thank you, Abbot,” said Star with deep emotion. “Thank you again, Abbot. I will be leaving now,” said Star of Justice as he gave a formal bow, before leaving the ancient study. Back in the Old Quarter, Hermel had finished up his biscuit and tea at Lady Gray’s Tea House and had stopped at a shop where bows were made. He examined them carefully and priced each one. He inquired with the shop keeper if there were by chance archers that might be hired in the area. He found that there were, and he found the cost would not be prohibitive if the rest of his plan regarding the sale of the Jade Dragon stone worked in his favor. He went to the Wooden Dog Emporium to meet the others. Star meanwhile had returned to the Guild Hall, picked up the children and took them home to the Hagglemsith’s tenement in a part of town you would not want to find yourself at night. Old man Hagglesmith came to the door of the ramshackle apartment and seeing his children, thin, cold and filthy, grunted in surprise. He looked at Star. “What’s this then?” said the old man gruffly choking down his emotion as his fat greasy wife clambering up behind him. “Oh my babies!” she cried and grabbing them pulled them inside. Star took out the bag of silver and gave it to the man with the instructions from the Abbot. He was in a bit of a rush to meet the others back at the Wooden Dog Emporium, so he gave a curt bow, and left Mr. Hagglesmith standing in the door, as he wiped a tear from his weathered eye. “Thank you sir! Thank you,” called the man after Star as he vanished into the snow-flecked mist. Seeing Jeremy still standing on the stoop, the man, puzzled, asked if he was a friend of the children. Jeremy nodded affirmatively, and the old man quickly took him by the hand and brought him inside to the cheerful glad-handing and joyful shouting of the other children. The house smelled wonderfully of stew and carrots and bread, and everyone shared a small but satisfying meal around the kitchen hearth fire. As he walked away through the fog, hearing the joviality behind him, Star suddenly felt that all seemed to be working out as it should after all, and was glad as he made is way quickly to the Dog carver’s shop. Everyone converged on the shop at the same time. Hermel went straight to the merchant. “We want to see the artist!” said Hermel in a rough tone. The merchant stammered, and said he didn’t know what he meant. So Hermel had Bantum stand over him and make sure he didn’t go anywhere while he looked around the shop calling out “Wuldcarva! Wuldcarva!” He found a red door in the back but it was locked. Hermel went back to the merchant and demanded the key. Bantum smiled at him. He gave Hermel the key. And so Hermel, Arik, Bantum and Star of Justice went down a flight of stairs and came to a room lit with a lantern in which there were many blocks of wood, a floor covered with shavings, and shelves piled high with wooden doggies of every conceivable kind. And there sat Konar Wuldcarva, chisel and hammer in hand. He was working hard on a Labrador made from black wood, sweat pouring down his forehead. “Konar, is that you? !” asked Hermel straining his eyes in the dim light. “Yes,” he said looking up. Suddenly, as he recognized who it was, he grinned broadly and tipped the small round hat on his head with his free hand. “Why hello!” he said, trying to remember Hermel’s name. The poor lad, really, you have to say, was downright stupid. His memory didn’t last more than an hour, he couldn’t count to ten, and if he needed to save his life by planning how to go from the wood shop to the grocery store and back, he’d have died. “You make nice doggies!” said Bantum as he held up wonderfully carved retriever in his hands. It was truly amazing how lifelike the thing was. “So Konar, how are you doing? !” asked Arik with a cheerful clap on the shoulder. He looked as though he were being treated reasonably well. “Good good!” replied Konar happily. “You have enough to eat?” asked Star. “Oh sure, food is great!” replied Konar. “You’re not working too hard?” asked Arik. “I don’t think so,” answered Konar, struggling to think about that. “Well ok then, you’re doing fine. But how about the money?” asked Arik, curious to know how rich Konar was getting off of the sales of all those doggies in the window. “I don’t know!” said Konar cheerfully. “But people like my doggies! I have to get back to work now,” he said, as he noticed the eyes of the merchant at the top of the stair were on him. The eyes of Praymar from behind were on the merchant, too. Hermel and the others went up and had themselves a little chat with the merchant. “You treat him well, and we won’t treat you badly. Get it?” said Arik gruffly. The merchant got it. And with that they left the shop and stepped outside where they found a quiet spot to talk. “You know,” said Hermel to the others, “we saved the Hagglemsiths from the kidnappers and they wound up starving on the street. I count Wuldcarva as a win.” The others agreed, sort of. A half-win, maybe? Hard to say. "Oh that's too bad," replied Hermel with concern on his face. "I wonder how they are faring after all." Star went on to tell him what had transpired with the children, and the more importantly what happened with the Black Sun stone, which he explained in whispers. “Oh really,” said Hermel thoughtfully. “I see. Well, I am going to disappear for while and stay out of sight. I'll meet you at Lady Gray's when you're ready." Star and the others returned to the Guild in order to find out a little bit more about the stone that the dying miner had given to them, and check up on Rothmon to see if he had recovered his senses. Rothmon, as it turned out, had recovered and was in the Library drinking a cup of tea. When Star went in, Praymar followed, feeling quite at home now that he was a member, and Rothmon politely offered Star a cup, saying it would help calm his nerves, which it did. Rothmon didn’t notice Praymar, however, and so the albino boy had to ask him twice if there was enough tea for him. As it happened the tea was rare there was no more. So Star offered him the rest of his own cup, from which he had only take a few sips. Praymar took the cup, sniffed it, and then poured it out onto one of Rothmon’s books that sat open on the table. They stared at him, but he just darted out his forked tongue and looked around the room as though nothing had happened. Rothmon scowled at this, but said nothing. Praymar could be really annoying sometimes. Star told Rothmon about what had happened since he’d seen him last. He showed him the rock he’d gotten from the miner again, but Rothmon only shrugged. It looked like a lump of ore, he said. “I could write a letter of introduction, I suppose,” said Rothmon. And with that he took out a quill and paper and wrote up a letter, folded and sealed it with red wax and handed it to Star with the instruction to have Hermel present it along the way, and at Mr. Rokkafellah’s home residence in the Heights, which is where the noble families in Hobbington lived. And with that Star thanked him, and took Praymar back to Lady Gray’s Tea House where he was to meet Hermel. Finding him, he gave him the letter and the instructions. Hermel was confused as to what he should do with the sealed letter, and almost opened it. Star lost his temper and began to berate him, insinuating that he was something of a country bumpkin. This surprised Hermel so much that he stopped and stared at the young warrior priest of Eldrik. Realizing he had exhibited poor behavior, Star immediately apologized, and went on to explain how worried he was about the Black Sun Stone and the end of the world and whatnot, and so sought Hermel’s forgiveness. They mended matters and it was agreed that Hermel would take the letter to the Heights and try to meet with Ischandar’s father forthwith. They agreed to all meet at the Wooden Dog Emporium in two hours. And so to the Heights he went. With the letter in hand he was able to gain entry to that luxurious neighborhood, and found his way to the Rokkafellah’s mansion. It was an elaborate three story marble home with beautiful furniture and artwork everywhere. He was lead upstairs by none other than Greggin Stouthart, who said little, and then went off to find the master. Mr. Rokkerfellah met Hermel in the museum-like living room. “Oh… I … uh… Well I did the best that I could,” stammered Hermel, not expecting to have to account for Ischandar. His hope was to get in, get the money for the Jade Dragon Stone in his pocket, and get out fast. This was a complication he could have lived without. Greggin glared at him with bulging eyes. Hermel stood staring with a slack jaw. “I don’t remember the details,” said Hermel. “It was more than five days ago. I was told to wait while he went in, and when he didn’t come out I kicked the guy in the black uniform down the ladder, and ran away,” he babbled. “The last I saw of him, about a week ago… I couldn’t get to him… but maybe I should tell you everything that happened,” said Hermel. Mr. Rokkafellah agreed and they sat down on luxurious couches with cups of tea. And so Hermel recounted the entire adventure from the beginning, how he had gotten the tarot card of the Dragon from the blind man who Ischandar had stolen money from and had a dream where the stone fell from the eye of a dragon that flew by, and how they saved the Hagglesmith children from the basement under the Five Crows Tavern, having battled Ghost Fish in the brook below the Tower on Dunn’s Bridge where Ischandar almost drowned, and how Ischandar and Lido went the wrong way in the ancient tunnels when they fled the blue light that Dr. Lobe and his creepy assistant created somehow with strange ancient machines from the dungeon, which they learned about from Bernie of the Rat’s Den who died from the poison dart of the Five Animals Gang, and how they rescued Jeremy, and Jeremeze from the bizarre underground laboratory with the horrid frogs, and the mysterious Black Knight in the pale blue glow that nearly caused the flesh to rot off their bones and killed one of kidnapers that way, when he was distracted by the entrance of a band of mysterious warriors who fled along with the rest of them, and how they were rescued during the bar fight with the Five Crows Brigands by great luck and a yellow fly and Constable Barnstormer and his men, whose timely arrival was actually a result of Ischandar’s letter that he left behind after breaking into the yellow robed man’s hotel room, and how he had to flee into the provinces to get away from the Five Animals, so he could go with Hormel to rescue his sister from the ‘Black Patch’ Bandit Gang at Yellow Clay Village, and all about their journey through the blizzard with Bantum’s clucking chicken bandoleer to the Prancing Unicorn Inn, and the feasting and dancing and music there, as well as their meeting the strangers Ibis and his henchman Korfu, and their escape from the owners of the secret salt mine to Gray Serpent Cave, where they discovered the talking chicken that Bantum had taken to wearing on his head, and the bear-woman who they met that were trying to find their missing friends and gave Star of Justice the mysterious Black Sun Stone, and whose son Praymar the albino (who could drain people by touching them) joined their party, and how Hornmel his cousin went on to Bear Claw Village to find the old teacher and bring him to Yellow Clay if he could, while they returned to the Prancing Unicorn vale where there was a disaster in the mine and fire and dead miners, and artifacts, and strange equipment and a magical canary, and ancient lion statues, and some sort of conspiracy with the Hobbington elites, and their battle with the Illusionary Frost Eagle in the forest and escape over Dragon Bridge after which the girl in the black cloak stole the poisoned box from under Senior Borge’s nose after his gaggle of young lawyers were slain by wolves in the forest and their trek through the snow shrouded night back to Hobbington so that Hemel could make enough money to hire archers and a sleeping drug with which he intended to rescue Yellow Clay Village and his sister by bringing the transformed and magical Jade Dragon Stone to Mr. Rokkafellah in the hopes he would buy it and then - Hermel took a breath. “So you are saying that my son is trapped by the Five Animals under Dr. Lobe’s Tower,” said Mr. Rokkafellah. “I see,” said Mr. Rokkafellah. "I know of Dr. Lobe. In fact I was one of his early benefactors before he died. I had always suspected that he was not really dead, actually," he said stroking his beard. "Very interesting, indeed." “I would like to make a proposal to you,” said Hermel after a long pause. 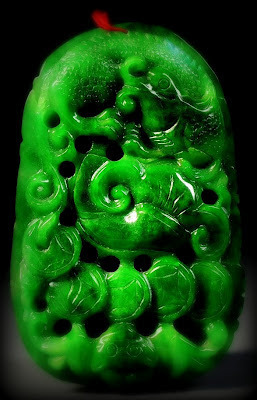 “I have this Jade Dragon Stone, which I believe is magical and worth a great deal. But I am but a poor country bumpkin and do not know how much it is worth. If you could find me a buyer I would be willing to give you a share of the profit,” he concluded, taking out the stone and showing it to the elder businessman. “I would like to buy it. How much do you want for the Jade Dragon Stone?” asked Mr. Rokkafellah. Hermel stared at him slack jawed. It was just after dark in the snow-shrouded wilderness east of the Dragon Bridge. The adventurers had successfully departed the Prancing Unicorn Vale without incident by evading the Bridge Guards. The wind howled through the trees, and moaned among the crags of the cliffs high above them, as the party made their way slowly to the road through the snow. Once on the road Lanna and her husband Ben decided to return to the Gray Serpent Cave in the hopes of discovering the whereabouts of their friends, and after considerable back and forth negotiations, left Praymar to continue to journey with the AAA Group, since it was what he wished to do. That the members of the AAA Group seemed rather reluctant to have him tag along did not seem to make any impression on the young albino. Hermel in particular tried to dissuade him, but even after trying an illusionary shuffle-the-dragon-stone trick, failed to do so. Praymar was immune to trickery. And so it was that they said their farewells to Ben and Lanna, and began to make their way southward along the road toward Hobbington. They had traveled less than a mile when Praymar, whose night vision was superior to the others, noticed the reflection of firelight on the pine trees below the cliff to the east. Hermel wished to avoid any unnecessary entanglements, and so they quietly stole into the woods to the west and made their way southward, skirting the foot of the shale hills trough the forest. The moon poked through the clouds and a wolf howled in the distance. Everyone was tired and hungry, but there was not much choice except to keep trudging along until they made Hobbington. After a suitable distance they decided to head east back to the road. Again Praymar's night vision gave him an advanced alert; he spotted a wolf moving silently across the road in the darkness. They waited. He spotted a second wolf heading across the road to the east. Suddenly they heard a cry. A man shouted, and then there was a scream, perhaps a woman that time. Then they heard another shout and the sounds of fighting. The party, with Hermel in the lead, against his better judgment, again, ran to the place where the battle was raging. By the time they arrived numerous men lay in pools of blood outside an elegant purple tent with golden fringe. There were two braziers outside the tent illuminating the scene in the flickering firelight. Among the dead they found Senior Borge’s four lawyerly assistants, and two guardsmen who looked like the same thugs they had encountered earlier at the Prancing Unicorn Inn; rough men with grizzled beards, now splattered in their own blood. Hermel, having heard a sound within, stepped into the tent. There he found, to his surprise, the pretty young lady with the black cloak they had met earlier that day at the bridge, holding a long dagger to the throat of Senior Borge, who was prostrate in front of her. Her left hand gripped his hair as she stood behind him with a nasty glare in her eyes. “Well, well, well," said Hermel as he gazed with raised eyebrows at the girl. "What’s going on?” he asked as some of the adventurers stepped inside while the remainder kept a look out for the wolves. “He tried to take advantage of me,” said the young woman sternly. She seemed ready to slit the Senior Borge's wide bulging throat every time he tried to speak, causing a thin trickle of red blood to drip down into his white silk shirt. As the AAA Group had taken the pretty young lady's side of the story immediately, the corpulent and sweating Senior Borge, who it should be said was having a pretty bad day, was in no position to escape her clutches, or speak in his own defense. Meanwhile, Praymar, who had been peeping at the young woman while investigating the tent, had found a little brass box on a small three legged table, which he thought looked like it might contain something of value. He inspected it for traps. He found none. He picked it up and his finger was immediately pricked with a silver needle. “It is the poison of the black lotus, you little fool,” said Senior Borge, evidently quite smugly satisfied before being silenced by a press of the dagger. Hermel and the others knew what that meant. Soon the hideously wicked poison would go to poor Praymar’s bizarre brain and make it even more bizarre, and then he would die horribly. Without scruple Hermel negotiated with Senior Borge for the antidote, in exchange for which they would convince the young lady to spare his life. She was not especially thrilled by this suggestion, but eventually complied with their wishes, though why exactly was not quite clear. After all, she had nothing to gain by letting the fat swine live. Yet, oddly enough, for Praymar's sake, she agreed. Meanwhile, since the poison was slow acting, Praymar opened the brass box and found inside twenty silver pieces, which he put in his pocket with no shortage of glee. “I wonder why he would protect a mere twenty silver with such a rare and hideous poison,” the young lady questioned, mostly to herself. Hermel had wondered the same thing, and intended to obtain possession of the box, thinking there was more to it than met the eye. At the time, however, everyone was focused on healing Praymar, which even with the antidote took considerable effort, and much prayer. The wolves outside began to howl again, and the group thought it prudent to have some stand ready at the door in case they should return. Bantum and Star of Justice were stationed outside to keep an eye on the forest. The three braziers were still blazing with firelight, and around them the fallen still lay prostrate on the ground. Only one of the thugs was still alive, gasping for air, gurgling in his own blood. His throat had been slashed by the fangs of a wolf, and it did not seem he would have long to live. Hermel, always ready to lend a healing hand to the underdog, called upon Minvar’s wondrous power to heal the villain. It did little good. Minvar is not inclined to do much for those who do not have any intention of using their precious lives to pursue goodness. Loyal to his intentions, however, Hermel tried again, and again Minvar barely heeded the call. The thug, not impressed with the efforts to save his miserable life, had no thanks for Minvar, nor for Hermel, and lay on the ground expecting to go to hell where he belonged. Hermel was not pleased. Star of Justice was called over to perform a medical surgery on the villain. It did more good than the miracles preceding it, but the fellow nevertheless seemed more intent on joining his fallen comrades in the blazing torments of hell than remaining among the living. It is difficult to heal such people, frankly, regardless of what one does. So the man lay in the blood drenched snow, gurgling and writhing in agony. Inside the tent, the young lady in the black cape, having released Senior Borge from her fierce little grip, was examining the brass box. She began to sing a nursery rhyme of sorts. There was a bewitching quality of her voice, but she was ever so pretty, and none complained. So she sang another little rhyme, and put the box down on the table. Star of Justice finally felt he had the time to search through his bag and find the object that the dying miner had given him back at the Prancing Unicorn Inn. "He said, to give this to 'Ahhhhaaahhhhhaaahhh...', and then the poor fellow died. It's strange. Who in the world could 'Ahhhhaaahhhhhaaahhh...' be?" he wondered out loud as he opened the small but heavy leather kerchief. "What's that?" asked Hermel looking over Star's shoulder. "A dying miner back at the inn handed it to me, asking me to give it to ... 'Ahhhhaaahhhhhaaahhh...', but I never discovered who 'Ahhhhaaahhhhhaaahhh...' is," he replied, a bit bewildered. Inside the kerchief they found something even more puzzling. It was a lump of rough ore where one side seemed to be a dull redish looking metal, perhaps. "Hmmm... well... that's odd. I wonder if 'Ahhhhaaahhhhhaaahhh...' lives in Hobbington?" "Perhaps, perhaps," replied Star as he turned to lump of ore over a few times. "Funny, though, that our group is named the 'AAA Group'," Hermel continued. "And if I recall correctly, didn't Rothmon say that he used to think the name of our group was pronounced 'Ahhhhaaahhhhhaaahhh...'?" "Why that's true!" said Star, putting two plus two together. "Perhaps he intended to give it to us after all. But how would he have known to pronounce our group's name that way ... unless he were ... somehow connected to ... Rothmon...?" "Perhaps you best put that away until we can meet with Rothmon again in Hobbington. Who knows what mystery this lump of ore may uncover," suggested Hermel. "Well, it could just be coincidence, of course, but still, I suppose you're right. So now I have two strange artifacts from the mine. And I haven't a clue as to what either one of them is," said Star quietly putting the lump of ore in the kerchief and placing it back in his satchel. What he didn't know was that Arik, who happen to be outside standing guard, would have found that particular lump of ore quite fascinating indeed! But such is life. Often times major clues pass right under our noses, and we're never the wiser for it. "One thing, though," added Star as he threw the satchel over his shoulder, "I do feel something strange inside this tent. Something... but I can't place it. Ever since I walked in, I've had this troublesome feeling that we're standing in a bad spot here somehow," he concluded. "It could be," said Hermel looking around with a raise eyebrow. It was then that the wolves returned. There was a howl in the wind, and then a commotion outside the tent as the band of wolves swept into the campsite, leaping from the shadows. But the assault was brief, and no one was injured. Only one of the dead lawyers had been dragged off into the dark forest, undoubtedly to be devoured by the slathering beasts. They waited for a while, but the wolves, having apparently achieved their aim, vanished into the distance, a single howl yet being heard far to the north. And then silence. And so the party decided to leave that place and let the dead look after themselves. The thug, having failed to enter hell, moped as he hobbled back toward the bridge where his comrades among the living were stationed. The young lady in the black cape had decided to make her own way home, not liking much the company of Hermel and his companions after all. They had not been entirely nice to her while she had held Senior Borge by the throat, and prohibited her from slicing the blubbering, fat slob of a lawyer open. She was a tough little thing, and hoofed it off through the snow northward by herself to her family farm which she said was terribly far from there. Praymar was the only one who felt a pang of disappointment as she strode away. He had hoped to peep at her some more, but it was not meant to be, and so he resigned himself to visiting her at her farm one day in the future, if fate and destiny would allow it. It wasn't until then that Star noticed that the strange feeling he had about that place had dissipated. He looked around the tent carefully but nothing appeared to have changed. It was strange, he thought. Strange indeed. When all was said and done, Hermel went to the box in the tent, and very gingerly picked it up. But to his surprise and amazement as soon as he touched it the box vanished in thin air. It was, he realized, just the very sort of mirage that he himself was skilled at making. Then he slapped his forehead in annoyance. “I should have known! Why that little hussy! While she was singing those rhymes she enchanted us all! Oh how it irks me to have been tricked by her!” He was so annoyed in fact, that he contemplated following after her, but in the end decided that whatever was in the box was not quite so important as continuing on their quest to rescue his sister from Black Patch and the Bandits who had invaded Yellow Clay Village. And so they departed the tent, and headed south on the road. Just before dawn they passed the stone circle that they had camped at the first night of their adventure into the provinces. By the time the sun rose above the hills they had made it to the bottom of the Long Stair that lead up to Hobbington. And there they stood, contemplating what they intended to do. Hermel, who had developed a master plan of sorts that would, he hoped, rescue his sister and the other villagers from Black Patch’s Bandits without causing unnecessary casualties, felt for the precious dragon stone in his pocket that was the lynch pin of his plan. It was cool to the touch and hard. He traced the dragon design with his thumb. Yes, it would be worth a great deal to the right sort of person, he thought, and the money he got for it would go a long way toward enabling him to perform the rescue. And he believed he knew who just such a person would be. None other than Ishcandar's father. With a certain amount of relish he looked up the long flight of stone stairs that traced a thin path next to the waterfalls up the mountainside to the upper Gate of Hobbington. The only thing troubling him was how to avoid the sinister Five Animals Society along the way through the town while he carried out his business. For this he had not yet developed what anyone considered a perfectly suitably foolproof plan.